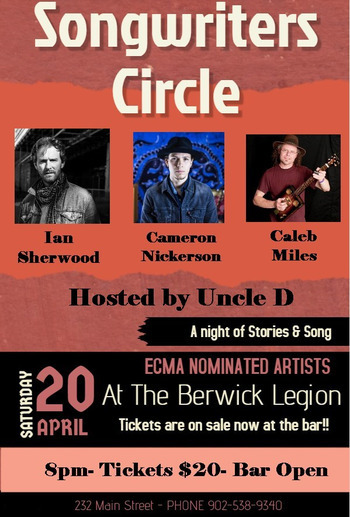 We are so excited to announce that we will be a hosting a Song Writers Circle. 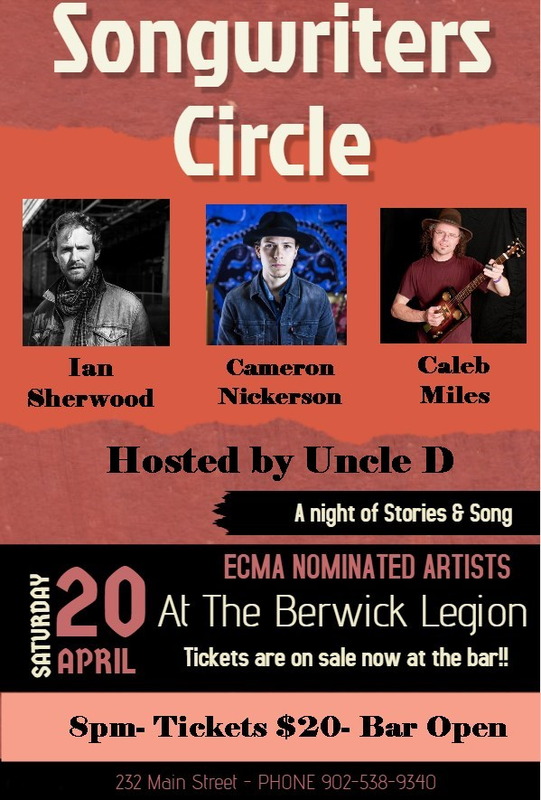 A night of stories & song with Ian Sherwood, Cameron Nickerson & Caleb Miles. Tickets are $20 and are on sale now at the bar! !